American historical drama from 2007. Daniel Plainview starts an oil company around the year 1900 and will do most anything to secure drilling rights where he believes there is a good find. His son, HW Plainview, goes with his father on all these adventures. This is a drama about one man’s relationship to his family and other people around him. It seemed to me that this man needed to be in control of these relationships and he had difficulties with trusting pretty much anyone. We follow Daniel Plainview from his first wells to larger finds where he wants to also build pipelines for transporting the oil, and further in his oil adventures. When he does not get the respect, deference and deals he desires, he is uncompromising. It reads to me as machismo, and as such, not very interesting. “There will be blood” is a movie of substantial quality; the footage is amazing and shows of both landscape and the good acting beautifully. The sound and music underscores the story with it’s sometimes loud and sometimes very subtle little sounds. This duality also reflects the acting, which is sometimes large and clear, while other times more quiet and reflective. The actors are brilliant, and the two main Plainviews; Daniel and HW have a very physical closeness that is common for many fathers and sons in real life, but is more rare in movies. How close the two seem is important in the movie, and all the work the actors has put in to that is clear. There are also many other examples of great choices in the acting. Sadly, where this movie falls a little short for me, is the story. It is to some extent interesting to see the growth of an oil company during this pioneering time in that industry, but that part of the story becomes more of a backdrop to the personal drama of the Plainviews. And that is much less interesting. If not for that choice in focus for the story, this movie would have gotten full marks from me. “There will be blood” is entertaining for an evening but no more then that. The pigheaded decisions of Daniel Plainview is difficult to empathize with and from fairly early in the movie, I cared little about what happened to the characters. I don’t think I will recommend this movie to anyone, but it is very well crafted and maybe some people will enjoy that aspect of the movie enough to spend an evening taking a peek at “There will be blood”. If you’ve recently seen “There will be blood” or you’re watching along with my year of movies, please leave a comment below with your thoughts on the movie or note down your opinion somewhere else. 42 movies down. 323 to go. If you want to get “There will be blood” from Amazon, here is a link for that. They probably have the movie many other places too. Maybe it’s on a streaming service you subscribe to already? 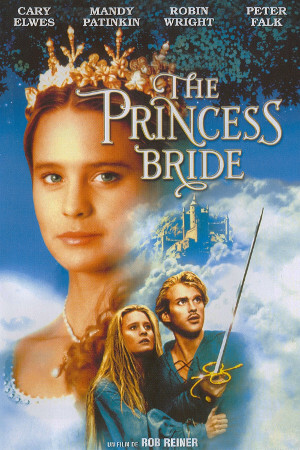 Tomorrow’s movie is “The princess bride“. Get some more information about this movie and the other movies on my watch list this week on the upcoming movies page. If you’re new to this site and are wondering why I’m watching a movie every day for a year, read more about my experiment. American biographical drama from 2014. The black population of Selma, Alabama is prevented from voting by the racist practices of voter registration officials back in 1964. Dr Marin Luther King, Jr and other members of the non-violent Southern Christian Leadership Conference (SCLC) travel to Selma in order to help organize passive resistance to these voter registration denials. Watching “Selma” was a bittersweet experience. We all know what happens to Dr King a few years after the Selma to Montgomery marches, and we also know that the struggle helped black voters. Seeing a dramatization of events we all know from history books could become a bit tensionless, but the movie takes us behind the scenes enough to make us curious about how the marches actually helped. We see that the negative publicity from the marches is leveraged against politicians who are initially unwilling to act, and how the leaders who do this pressuring is an essential part of effecting change. In addition to being a lesson in political work, it also creates the tension in the movie. What is it that is going on behind the scenes in this monumental moment in US history? The movie begins with Dr Martin Luther King, Jr receiving the Nobel Piece Prize, an award that can help to put political pressure on an issue. The SCLC then chose a place to next put their attention based on what visuals the chosen site will create, and Selma is the winner. The movie then follows the Selma to Montgomery marches linearly, with a closer look at how pressure is put on elected officials and the personal struggles of Dr King. We get to know a man without any polished image of who he was, and this gives us an affinity for the character that creates part of the bitter sorrow when watching “Selma”. He becomes a real person that we know has little time left. The casualties of the civil rights movement that we actually see injured, or worse, in the movie is of course also a bitter part of this story. “Selma” has a stark choice in colors that creates an image of a dramatic and tragic story. The visuals are strong, and there is none of the crispness and lighthearted mood of the civil rights movie from a few days ago; “The Help“. The acting was good in every scene and I detected no weak performances in any role, which is quite nice in a movie with this large a cast present in many scenes. Especially brilliant was David Oyelowo as Dr King. His performance is an important part of why this movie is good. The choice of telling the story this way, with an insight into how these marches worked and stopped the racist practices of voter registration in Alabama, makes this movie more then just a telling of this one struggle. This is an important lesson in political processes and the forth estate. Maybe something we all should know and see, both in general, and especially now when the media sometimes is referred to as fake news. “Selma” is both a good and important movie. Next time I think it’s a hassle to go and vote, the struggle of the people in this movie will stop any such contemplations quickly. I think everyone should Watch “Selma” at some point. Not a movie for children, though. I think many of the excerpts of speeches by Dr Martin Luther King, Jr also rings true today and the movie will show just how brilliant his insights into people was. Just sit back and enjoy. If you’ve recently seen “Selma” or you’re watching along with my year of movies, please leave a comment below with your thoughts on the movie or note down your opinion somewhere else. 41 movies down. 324 to go. If you want to get “Selma” from Amazon, here is a link for that. They probably have the movie many other places too. Maybe it’s on a streaming service you subscribe to already? Tomorrow’s movie is “There will be blood“. Get some more information about this movie and the other movies on my watch list this week on the upcoming movies page. If you’re new to this site and are wondering why I’m watching a movie every day for a year, read more about my experiment. American historical drama from 1940. Tom Joad returns home to his family in Oklahoma only to discover that they have been forced of their land. On a flimsy hope of finding work in California the whole extended family fills up in a dingy truck and heads out. Through their experiences we see the life of the poor and unemployed during the depression. This is a good movie, pure and simple. I have read the book at some point, and liked it a lot. The shocking reality that the family meets in California and on their way there is unexpected. I had not seen the movie before, and felt the movie brought even more to the story and made the Joad family come alive. Often I dislike films based on books that I like. Maybe it is the chosen shortcuts in the story in order to fit it into the length of the movie, maybe it is the choice of actors that doesn’t fit with my vision of the character, maybe it is something completely different, but this time it all came together to make the depression area’s great novel come alive. The actors were fantastic and they all fit the parts physically as well. Jane Darwell as Ma Joad and John Carradine as Jim Casy stood out as exceptional in an otherwise good ensemble. Visually I thought “Grapes of wrath” delivered, but I still have some difficulty judging the quality of black and white movies. My question isn’t weather I liked the quality or not, or weather I thought it was good enough, the question is rather how this rates up against the best they could do at the time. The movie is obviously not great visually compared to a recent movie, but that is neither expected or required, however, in order to judge the quality of the movie, I must compare it to it’s contemporaries, and do not know enough to do that. The acting is as already mentioned very good. I expect this to be a large part of why the movie got a 100% positive rating on Rotten Tomatoes. The star of this movie is the story, though. It shows how the Great Depression effected farmers and made them homeless migrants with no income in a society with no security net. The world the Joads encounter outside of the farmland region where everyone else shares their fate is for the most part cruel and hostile. Society does not want to accept the farmers they have so long depended on and simply casts them aside like so much waste. There are many books written on the story in “Grapes of wrath”, the characters, the symbolism, the realism, the critique of society and many other aspects, so I will not delve into some kind of deeper analysis, but there is more than enough to keep a viewer entertained through the movie and make a more lasting impression as well. I will definitely watch this movie again, and I will look forward to it. The question of who we are treating that badly on today’s society is still bugging me. I think this is a movie I would recommend to everyone. The way poor people and the lowest class in society is seen as something other than human, as so much lower than everyone else that any treatment of them is accepted, and to some extent, good and decent treatment of this lowest rung on the human ladder is met with hostility, is also a problem today. The movie has a good lesson for us all. For those who aren’t great fans of black and white movies, I would recommend the book. The message is maybe even clearer there, if I remember correctly. When Steinbeck won the Nobel Prize in literature, this book was cited as an important reason, just to mention one of the many awards the book got. If you’ve recently seen “The Grapes of wrath” or you’re watching along with my year of movies, please leave a comment below with your thoughts on the movie or note down your opinion somewhere else. 13 movies down. 352 to go. If you want to get “The Grapes of wrath” from Amazon, here is a link for that. They probably have the movie many other places too. Maybe it’s already on your shelf? Tomorrow’s movie is “Munna Bahi M.B.B.S“. Get some more information about this movie and the other movies on my watch list this week on the upcoming movies page. If you’re new to this site and are wondering why I’m watching a movie every day for a year, read more about my experiment.